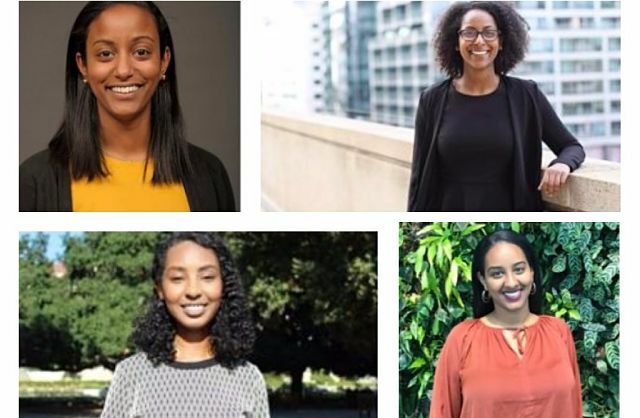 New York (TADIAS) — The Ethiopian Diaspora Fellowship (EDF) has announced its 2017 class of Fellows. Every year Ethiopian American youth are selected to participate in this leadership and creative storytelling program, and EDF, which runs the program, said that its third cohort of fellows will spend half a year in Ethiopia working at St. Paul Millennium Medical College, East Africa Gate, Selamta Family Project and International Leadership Academy of Ethiopia. Saba has provided revenue cycle review services for some of the largest health systems in the United States at Triage Consulting Group. Prior to that, Saba worked at the UC Davis Cross Cultural Center creating programs that highlighted key issues within the African Diaspora Community on-campus. Her programs led to institutional change including a mentorship program aimed at the retention of the African Diaspora Community on-campus. In addition, she is committed to public service as she has helped numerous refugees resettle in Northern California while working at Opening Doors Inc. Saba holds a Bachelor of Arts in International Relations and a minor in Communications from the University of California, Davis. She is excited to become an Ethiopian Diaspora Fellow and leverage her experiences to address economic development challenges in Ethiopia at East Africa Gate. Meron held a number of health-related positions, including program assistant at The California Wellness Foundation working in women’s health and diversity in the health professions and an intern at Kaiser Permanente Medical Center and the Los Angeles County Department of Public Health. She is deeply engaged in her Ethiopian community and serves in the young adult ministry at her local Ethiopian Orthodox Tewahedo church. She is also an integral part of Habesha LA, a social media and events company highlighting Ethiopian and Eritrean creatives. She recently completed her Master of Public Health at the UCLA Fielding School of Public Health. She is excited to learn from and share with a country that has given her so much as the Human Resource Strategies Fellow at St. Paul Hospital Millennium Medical College. Eden pursued a year of service with Public Allies Los Angeles where she served as the community engagement coordinator with the youth photography nonprofit, Las Fotos Project. Prior to this, Eden graduated from Occidental College where she majored in Critical Theory and Social Justice and minored in Interdisciplinary Writing. While at Occidental, Eden became passionate about equitable, multicultural education and diverse representations of underrepresented groups, through community-based learning classes where she applied identity-based theoretical frameworks to community social issues. Eden studied abroad in Durban, South Africa where she conducted oral histories with Ethiopian (im)migrant women and conducted community-based research on the political and gendered significance of Little Ethiopia to the diasporic community. Eden is excited to join the 2017 EDF cohort and contribute to Selamta Family Project’s knowledge and long-term capacity. Maceda joined John Snow, Inc. as Program Officer with the firm’s International Division. As a Program Officer, she provided financial, administrative, and operations support to multi-million dollar public health projects in Ethiopia, Madagascar, Zambia and Zimbabwe. Through this role, Maceda refined her skills in program management, strategic partnership development, financial analysis, and donor communication. Prior to this she was Program Coordinator with the Center for Health Equity at the Geisel School of Medicine and an intern in the Resource Mobilization Division at UN Women. She graduated from Dartmouth College majoring in Geography with a focus on International Development, minored in International Relations and completed a certificate in Global Health Studies. She is excited to serve as an Ethiopian Diaspora Fellow and looks forward to collaborating with others in building the human capacity of Ethiopians and promoting positive social development throughout the country at St. Paul Hospital Millennium Medical College. You can learn more about the program at www.ethiopiandiasporafellowship.org.